Deb Coolhart, PhD, LMFT, is a private practice clinician and an assistant professor in the Marriage and Family Therapy Department at Syracuse University. She has been doing therapy with LGBTQ youth and their families for nearly 20 years. She created the Transgender Treatment Team in Syracuse University’s Couple and Family Therapy Center, where she trains and supervises masters students to work with transgender people and their families. 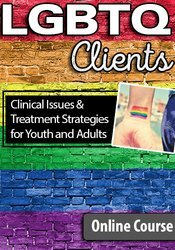 Dr. Coolhart has several publications on clinical work with LGBTQ youth. Her recent work has focused on transgender youth and their families. She has developed a tool for assessing youths’ and families’ readiness for gender transition treatments, published in the Journal of Marital and Family Therapy. She has also published multiple manuscripts on supporting transgender youth and families in therapy and advocating for trans-affirmative school environments. Recently, she co-authored a book, The Gender Quest Workbook: A Guide for Teens and Young Adults Exploring Gender Identity. Additionally, Dr. Coolhart has conducted research on transgender people and their family relationships and the experiences of LGBTQ homeless youth. Financial: Deborah Coolhart is an assistant professor at Syracuse University. She receives a speaking honorarium from PESI, Inc. Non-Financial: Deborah Coolhart is a member of the American Association of Marriage and Family Therapy; American Family Therapy Academy; and World Professional Association for Transgender Health.